More than 250 brides arrived within the first hour of the show and a long line had already formed a half hour before the opening. 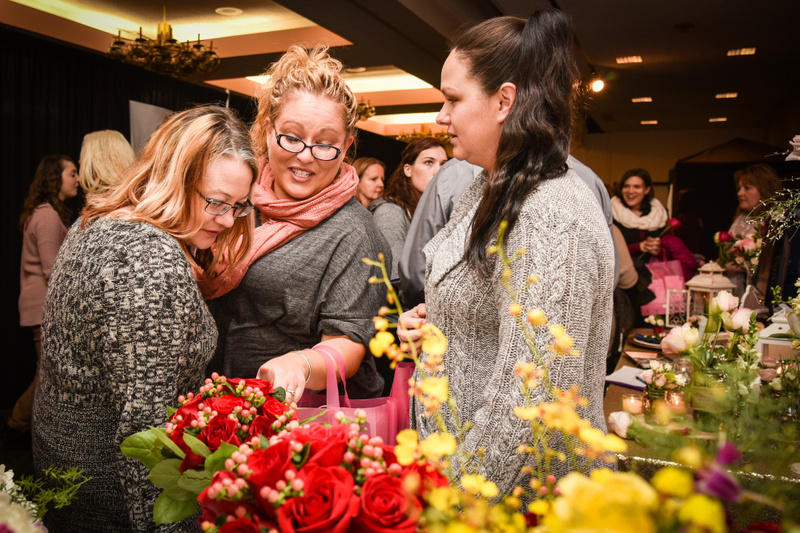 AUGUSTA — Hot pink tote bags identified the brides at the Maine Wedding Showcase Sunday afternoon at the Augusta Civic Center. 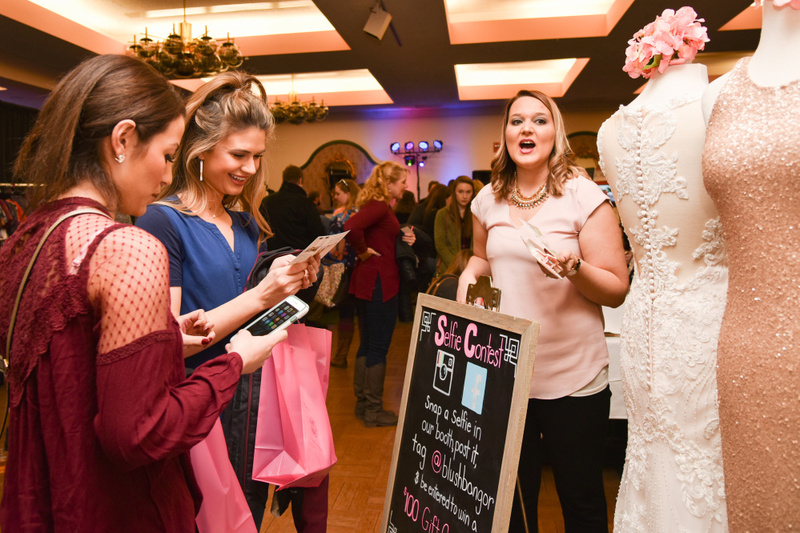 The women carried them to the various booths, collecting giveaways, cards and other information from more than 40 vendors on the second floor of the venue’s North Wing. Occasionally, the noise from the NE Motorsports Expo and Trade Show in the main auditorium bled over into the hallway where dozens of brides, an occasional groom and father, and mothers, aunts, honor attendants and others waited in line to get in to see the vendors and their wares. The bridal parties entered between two fantasy columns of pink and white balloons, supplied by Jan Partridge, who operates Balloons & Things in Belgrade Lakes village. “I’ve done almost every venue between Augusta and Waterville,” Partridge said, who was being assisted at her booth by granddaughter Priscilla Partridge, 14. Bride Kelly Davenport of Hallowell came with an entourage of three — mother, aunt and maid of honor — and was excited about finding things she wanted for her Sept. 16, 2017, wedding to Brett Blake of Gardiner at Norcross Point in Winthrop. “We found flowers from Berry and Berry and a dress — we have an appointment to go to Andrea’s Bridal — and I got my limo,” she said. The four had found a long line of people waiting to enter the show when they arrived at 11:30 a.m., a half hour ahead of the opening time. They are planning to attend next weekend’s bridal show as well. 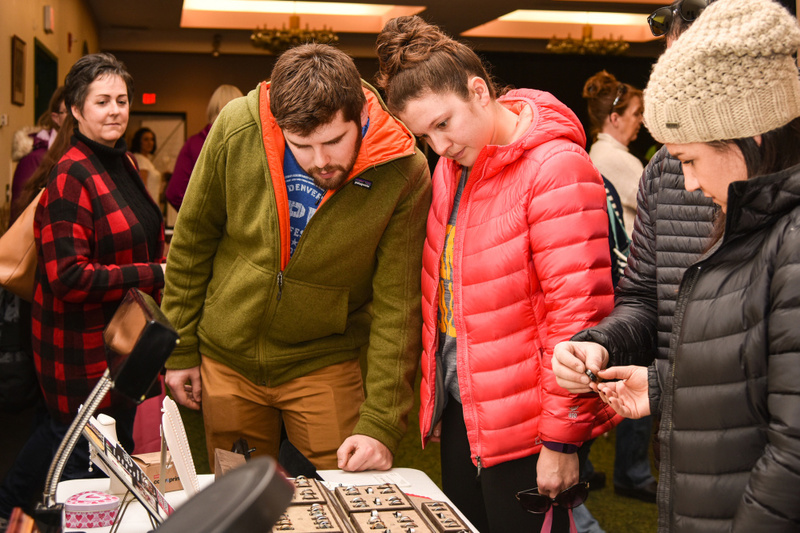 The Augusta Wedding Show, sponsored by the Maine Wedding Association, will hold its annual event 11 a.m.-3 p.m. Sunday, Jan. 22, at the Augusta State Armory. While Davenport has secured her wedding officiant — her dad, the Rev. Donald Davenport — other bride show attendees stopped to talk to Susan Dyer Taylor of Scarborough, at her table near the door, where she talked about personalized ceremonies. Bailey Jordan, 18, and Gabe Pullen, 19, both of Lewiston and engaged for the past four months, were among the early arrivals at the show. “We haven’t made any plans yet,” Jordan said. “We’re just kind of looking. However, they said they agreed on one thing for their Aug. 26, 2017, wedding — the venue has to be a beach. Paige Cote, formerly of Winslow and now of Bucksport, heard her name drawn as the winner of an eight-day, seven-night honeymoon. She checked in with the organizers to get the details and said she and her fiance, Jacob Sullivan, formerly of Gardiner, had just booked their honeymoon three days ago. With their wedding set for Aug. 11, 2017, Cote said the two would probably use the honeymoon trip she won at a later date. Inside the tightly packed room, there were caterers with cannolis and cupcakes, photographers, deejays, tuxedos, wedding gowns, honeymoon planners with travel brochures, jewelers and others. Some attendees even ventured to the cash bar in the corner. Ron LeClair, former manager and now owner of Northeast Limousine, based in Winslow, left a large calling card — a stretch white limousine — just outside the doors of the venue. At his booth indoors, he greeted several of the brides by name, telling them about the limousine services both for the wedding and for bachelor and bachelorette parties. The organizer of Sunday’s show, Kathy Sonderegger, of Louden, New Hampshire, who runs myNEwedding.com as well as my NEevent.com, said she used to do wedding shows in Augusta until about 15 years ago. She worked the admission table on Sunday and said more than 250 brides had arrived within the first hour. “I’m very impressed,” she said.